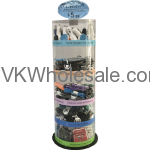 Purchase cell phone chargers display wholesale at lowest price. 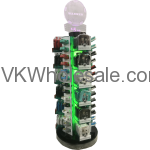 Order cell phone chargers in good quality display to stack up more profit quickely. 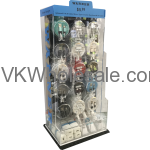 These customized displays comes with mix and match of : iPhone 5, iPhone 6, Galaxy and iPhone 3/4 cables, home chargers, car chargers and headphone with mic and volume controll.